The world’s smallest sliding patio door! 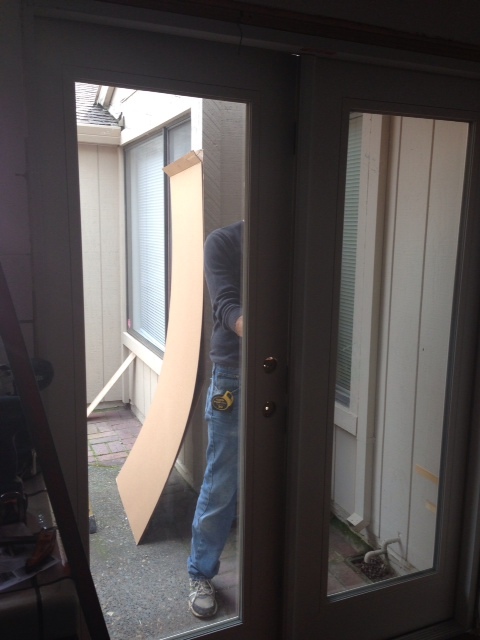 My dad took one look at my sliding patio door and knew my sofa wouldn’t be able to fit through the opening. This issue reared it’s ugly head over and over again as I moved furniture, appliances, and boxes into the house. Knowing that it took one screw to uninstall and reinstall the door, it was far from the security he required for his first daughter. 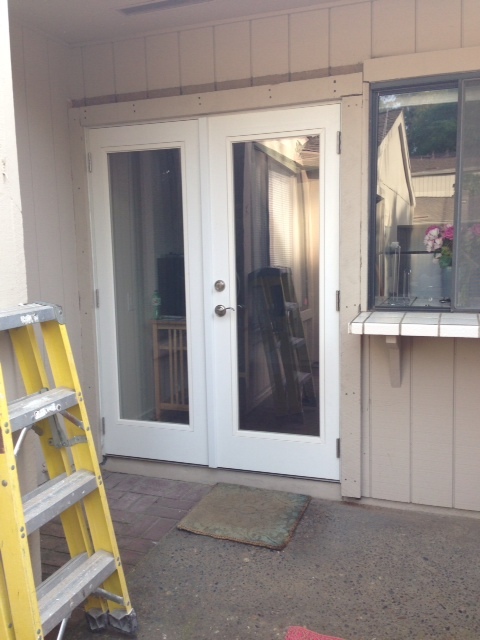 That began the extremely frustrating and expensive process of replacing the slider with a french patio door. I chose to go to Home Depot for the purchase because I had a referral for someone at the Pro Desk who could help me with my narrow opening and multi-point lock system requirements. This ended up being quite the ordeal as they turned away my special pre-paid delivery for weeks due to lack of space in their warehouse…. 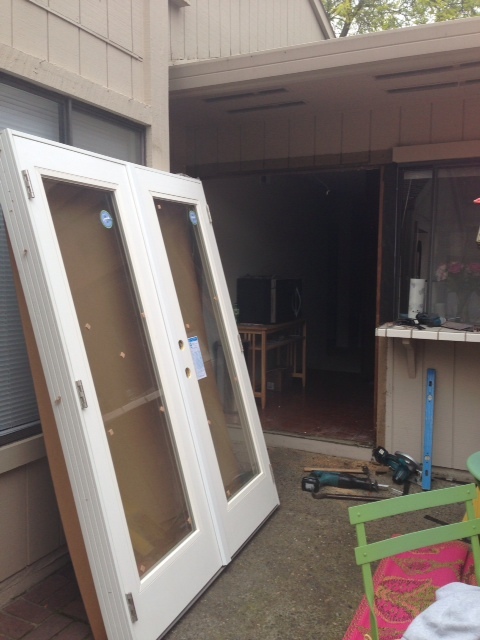 but eventually late one Friday night I drove out to BFE to pick up a beautiful set of french patio doors! But once it was in, it was a beautiful sight! One step closer to finishing a new project, and one less obstacle when it comes to new purchases! French patio doors for the win!